Greetings all and welcome to the interwebs! 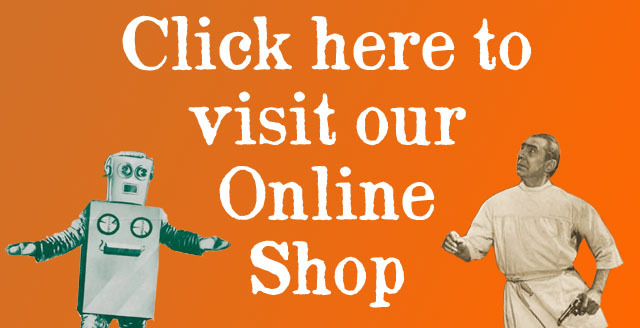 We are currently in the process of updating our website and should soon have some new sites and ways for you to view and purchase our wares. In the meantime, feel free to look around here or visit us at our Etsy store to see all our current items, or friend us on facebook! 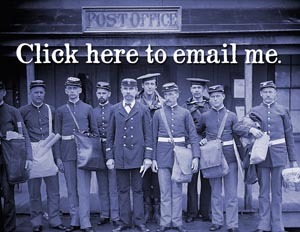 Alternate Histories in New York City! We hope that you grand old knickerbockers will come out to the BUST Magazine Craftacular on Dec 10 & 11! We shall be selling holiday wares, old favorite prints, new cards, and happiness for children of all ages. Raconteur and comedian Marc Maron calls Alternate Histories’ work “Peculiar and Enchanting” in his most recent Podcast (episode 229). Check it out! 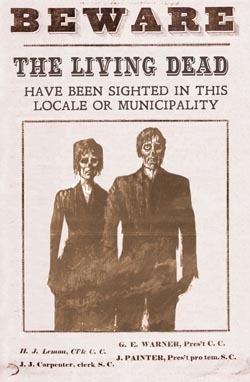 After the success of Alternate Histories: Pittsburgh show in August 2010, Wildcard (4209 Butler St, Pittsburgh, PA) is pleased to present the follow up to that show, The Living Dead History of Pittsburgh on Thursday, Nov 17. Ever since George A. Romero’s Night of the Living Dead revolutionized the zombie genre, Pittsburgh has been intertwined with tales of the living dead. This show of my new work raises the question: What if Zombies had been in this area since the days of Fort Pitt and the founding of the city? Wildcard is hosting an opening night party with drinks and snacks on Thursday, November 17, from 6 to 9pm. Admission to the party and to the store gallery is free. Original work and prints will be available for sale. I hope to see you there! Huzzah! Sound the trumpets of excitement in Pittsburgh! 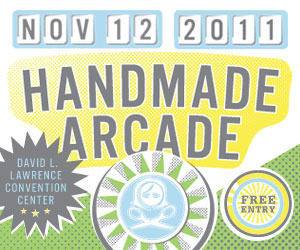 We’ll be selling our wares at Handmade Arcade, Sat Nov 12 at the Convention Center in Pittsburgh! Come purchase new prints, old favorites, holiday cards, or just say hello! We’ll see you there!